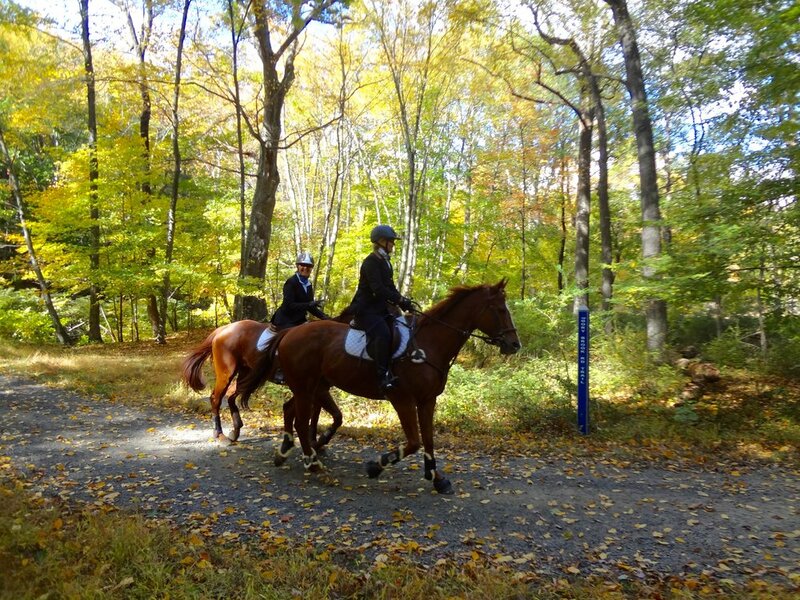 Equestrian trail ride and lunch in Rockefeller State Park Preserve. 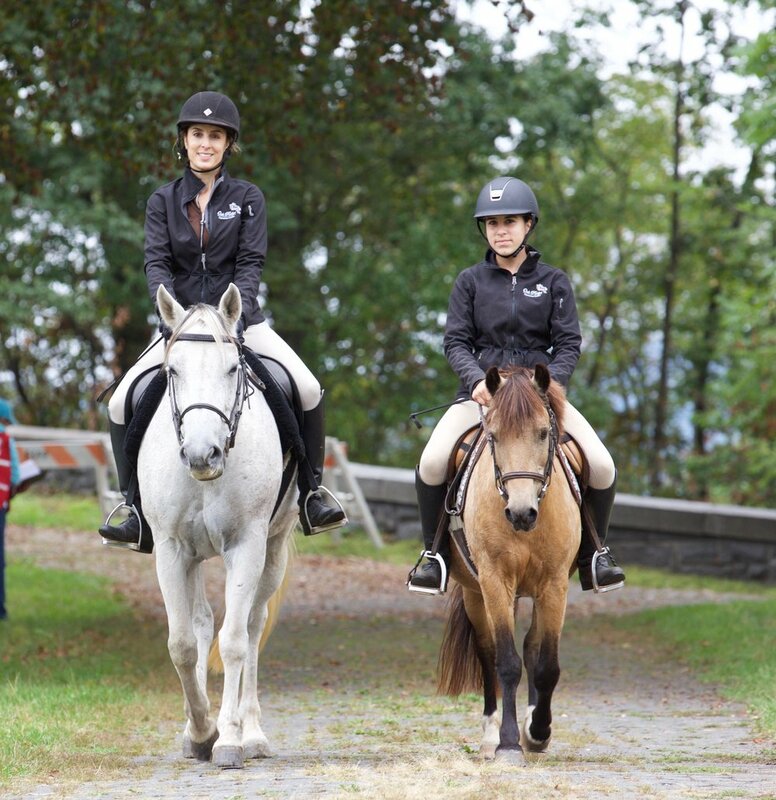 Our 4th annual Amble & Gamble will take place on Sunday, October 6, 2019. Stay tuned for the registration announcement. 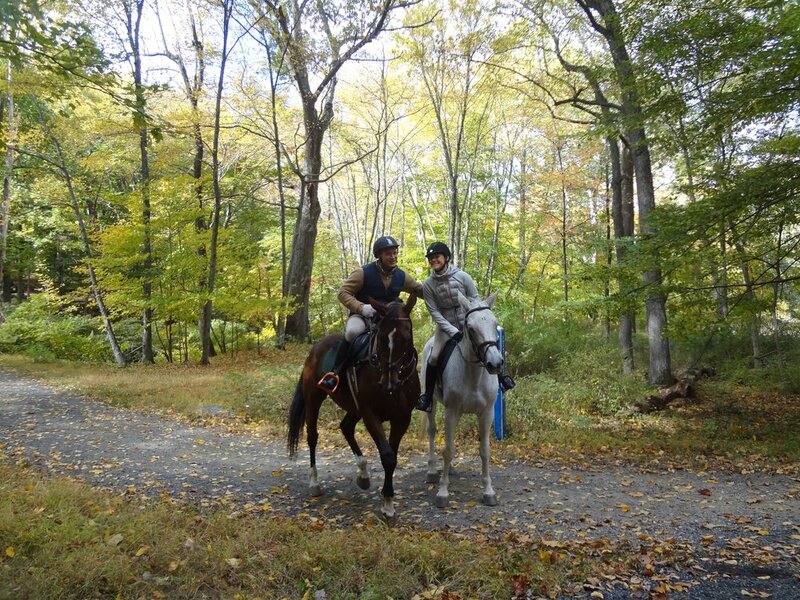 The carriage roads of Rockefeller State Park Preserve were designed for horses and preserving that tradition was the inspiration for the A&G. 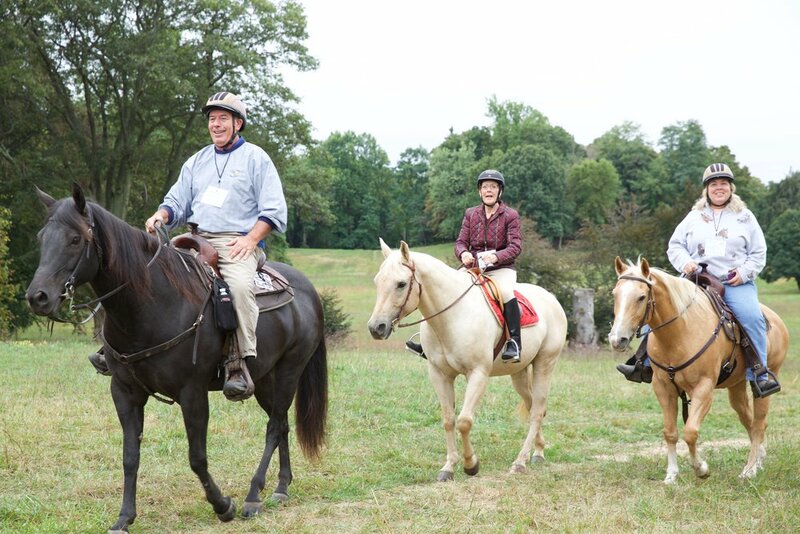 With a new course every year, riders can go at their own pace, enjoying the sights and sounds of the Preserve, before ending the day with a delicious catered lunch. As always, the lunch is open to non-riders and the community is welcome! 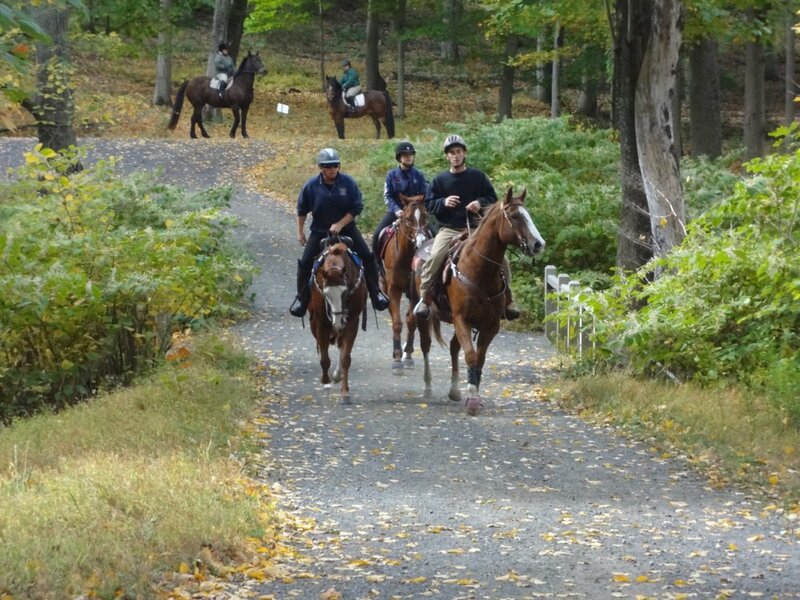 A truly unique way to experience Rockwood Hall, enjoy a buffet, the view and the horses! We will once again feature a Poker Ride and Raffle, everyone has a chance to win. All proceeds from this event go towards carriage road maintenance. Download, print and mail the registration form. Parking: Regeneron (formerly NY Life) 1 Rockwood Rd., Sleepy Hollow, NY 10591 Ample parking for trailers and cars. Lunch: 11:30am-2:30pm Lunch is included in the rider registration fee. Lunch is open to the public and all are welcome. If you are joining us just for lunch, tickets can be purchased in advance, or the day of. 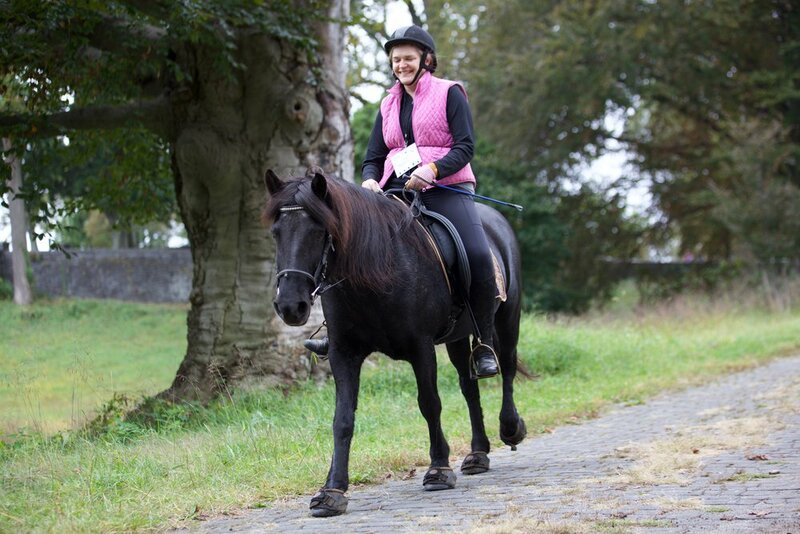 There are sections with 2 way horse traffic and you MUST walk in designated areas. 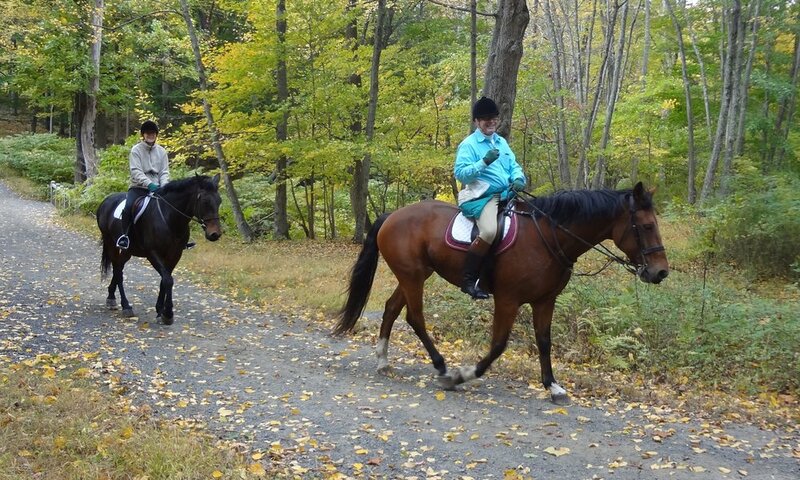 Riders must ask permission before passing another horse, please do so courteously and cautiously. We ask for your cooperation in leaving dogs at home for this event. Water is not available. Please bring water and buckets. Riders are responsible for cleaning up manure and hay from the area around their trailer. Proof of negative coggins must be submitted in advance (my mail or email) or presented at registration the morning of. An ASTM/SEI helmet is required for all riders. No exceptions. FRSPP reserves the right to change the details of the event, including delaying, cancelling or suspending the event due to inclement weather or other potential safety risks. Participants must retire from the course if ordered to do so by event officials, medical staff or any governmental authority, including firefighters and police officers. Poker & Rider Prizes: Prizes announced between 1:30 and 2. Thank you to co-chairs Lynn Lucas and Debbie Homer, and our dedicated A&G Committee - Pat Jones, Clare Pierson, Herb and Evelyn Hadad, Joanne Henry and Jessika Creedon. And especially our dedicated volunteers! Contact friends@friendsrock.org to purchase. You do not need to be present to win. Congratulations to our 2018 raffle winners. Stay tuned for the announcement of our 2019 Raffle Items! Would you like to advertise in the event Journal or donate a Raffle Prize? Please contact friends@friendsrock.org for more information. 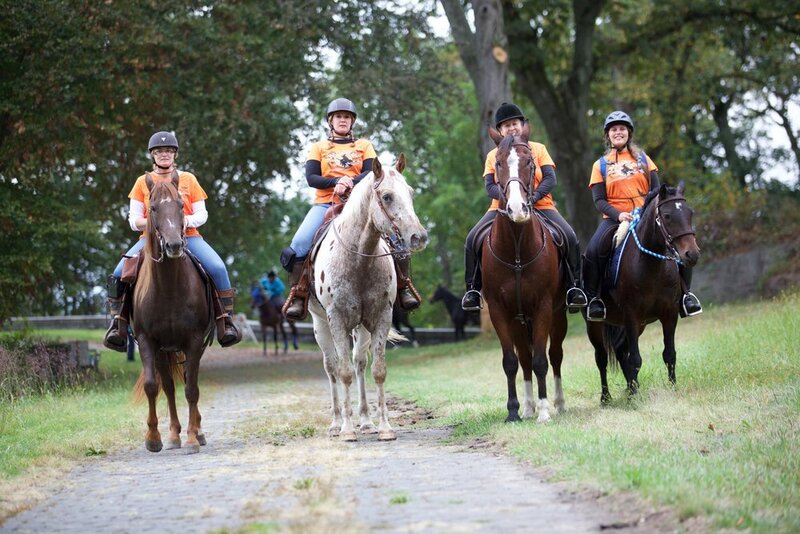 We would also like to thank our 2018 supporters – Le Jardin Du Roi, Aardvark Pet Supplies, Agriventures Agway, Best Wine Purveyors, Bosco John Company, CHG Wealth Consulting Group, Connecticut Equine Therapy, Crabtree’s Kittle House, Desires by Mikolay, Eve Bucca, Feed Barn of Brewser, Good Food Briarcliff, Good Reasons, Hawthorne Wine & Spirits, Hudson Valley Writers Center, Jeff Studer Lawn Irrogation, Mikey Mac, Pub Street, Silvio’s Restaurant & Pizzeria, Stone Barns Center for Food & Agriculture, The Care of Trees, Valhalla Garden Center, Horse Connection, Truck, Beech Hill Farm and Fox Hill Farms. We would also like to recognize Phelps Hospital and the Briarcliff Volunteer Ambulance for their donation of onsite personnel and equipment – ensuring the safety of all riders and Regeneron for the use of their parking lot.